An accident happens, you are rear ended by another driver. That other driver proceeds to drive off, but thanks to the diligence of a witness who follows the other driver, the other driver returns to the scene of the accident. Then it turns out the other driver is legally impaired and … it just gets better, the other driver does not have insurance. Sound like a fantastic story – unbelievable, never happens? This story really highlights a growing problem. There are many drivers out there on the road, driving with you, who do not have auto insurance. According to the Insurance Research Council, one in seven drivers out there do not have auto insurance. With one exception, every state has some form of minimum insurance required by drivers, yet so many are driving illegally. Even worse, if you are involved in an accident and you do not have underinsured/uninsured motorist coverage, you are most likely going to be a victim a second time, as you will have to come out of pocket for additional expenses. Over the last four years, a lot of consumers have made choices based on their financial position and one of the items which gets cut is insurance. There are also a lot of low cost providers out there, spending millions in marketing to get you to change your auto insurance, sometimes, you get what you paid for. Talk with your insurance agent, find out what type of coverage you have, what your deductibles are and what is covered in the event you are in an accident with a driver who does not have insurance. 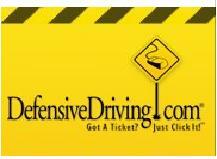 If you have to pay an additional premium to get underinsured/uninsured motorist coverage, check to see if taking a defensive driving course will allow you to receive discounts for your auto insurance. The money you save in discounts for auto insurance by taking a defensive driving course might very well offset what you are a paying in additional premiums. More importantly, it will give you piece of mind, knowing that in the event you are in an accident with one of these bad drivers, you know what to expect with respect to your claim.